The Spain striker took advantage of a mistake by a hesitant Gareth McAuley in the 76th minute to rob the defender of possession and curl a brilliant left-foot shot past Ben Foster. 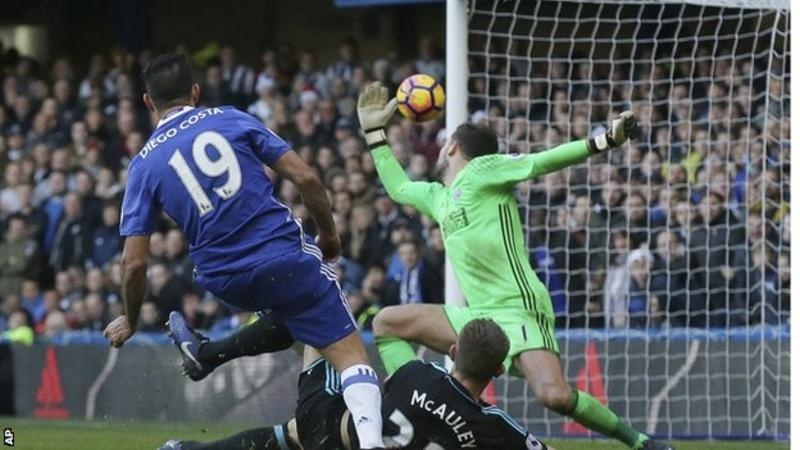 West Brom had looked like earning a point after restricting the Blues to just one other shot on target, a 30-yard David Luiz free-kick. Chelsea also came close through an N'Golo Kante shot that deflected off Pedro and rolled just wide of the post. The Baggies had early chances through a Chris Brunt shot that fizzed wide and Salomon Rondon shooting across goal.